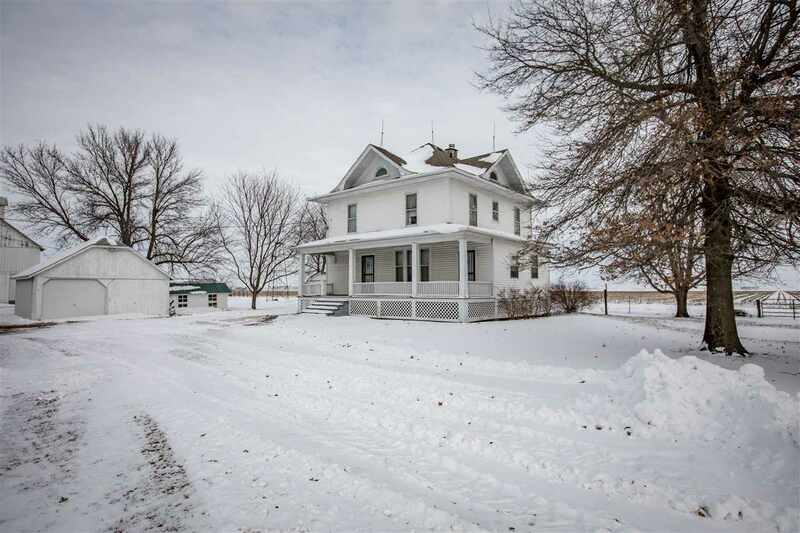 This large 2 story home sits on 4.4 acres and has numerous outbuildings plus a fenced in area for horses or livestock. Quiet location in the country. Main floor features kitchen with oak cabinets, formal dining room open to the large living room, and entryway with open staircase. The second floor features 4 bedrooms and a full bath and walk up attic. The full basement has tons of storage and forced air furnace and woodburner.